Apple is apparently planning on releasing public beta versions for both iOS 8.3 and iOS 9 this year, according to a rumor on the matter. This information reportedly comes from "multiple people briefed on the plans", which means it should be reasonably accurate. If true, this would be a big shift in Apple's way of developing its mobile software. Up until now, only registered developers have had access to the company's beta releases for iOS. And as being an iOS developer entails a $99 yearly fee, the public at large mostly hasn't ever seen any beta builds of iOS. There have been instances of people selling beta downloads from developer accounts, but their success has likely been limited. This change probably comes as a reaction to the pretty bad rap iOS 8 got in terms of stability and bugs. It's safe to say this wasn't Apple's smoothest release ever, and the company seems to think that getting more people involved in beta testing future versions should make those less prone to having various issues - which makes sense of course. Allegedly only 100,000 people will be allowed into the upcoming beta testing program, in order for this to maintain a level of exclusivity. So get ready for this to become yet another thing people brag about (if they get in). Apple's used the limited number of testers scheme before, when it released a public beta of Mac OS X for the first time last year, though in that case 1 million people were able to join. The Mac betas will continue later this year. On the iOS side, we should see the 8.3 public beta be out sometime in mid-March. This will match the third beta for developers, which will be available the same week. 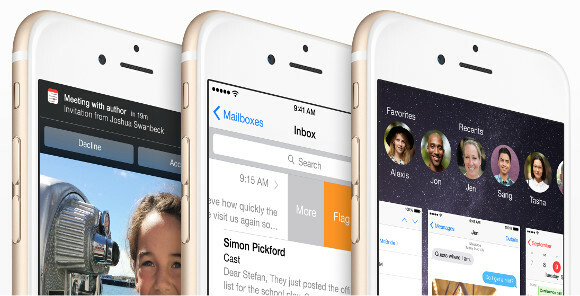 Further down the road, iOS 9 will be officially introduced at Apple's Worldwide Developer Conference in June. This will get a public beta release later in the summer, with the final launch scheduled for the fall. We've heard before that iOS 9 will be focused primarily on bug fixes and stability improvements. iOS 8.3, on the other hand, will bring support for Wireless CarPlay, as well as a new Emoji keyboard, an enhanced voice for Siri, and simpler login procedures for Google services. The people who will become beta testers for these releases will be able to use a special app to report bugs to Apple.